Check out these FREE weather worksheets for preschool. They will help little ones learn colors, ABCs, and beginner math. 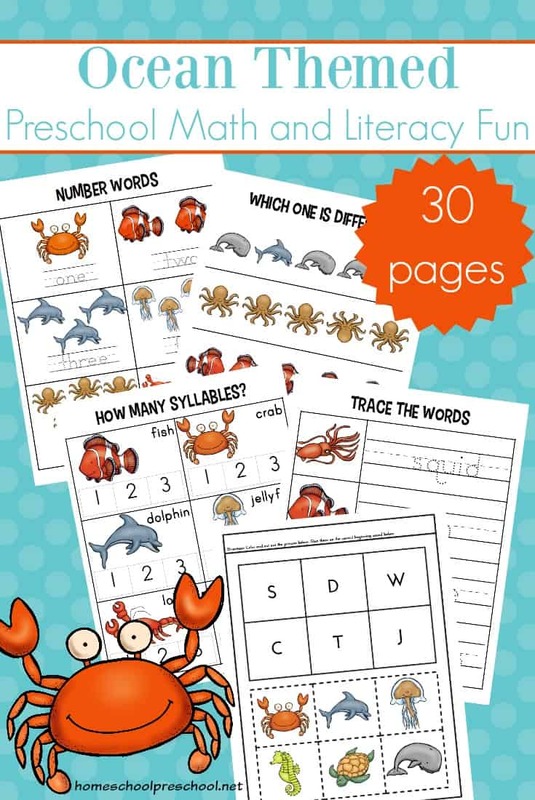 They’re perfect for summer learning! Engage your kids with these summer learning activities. 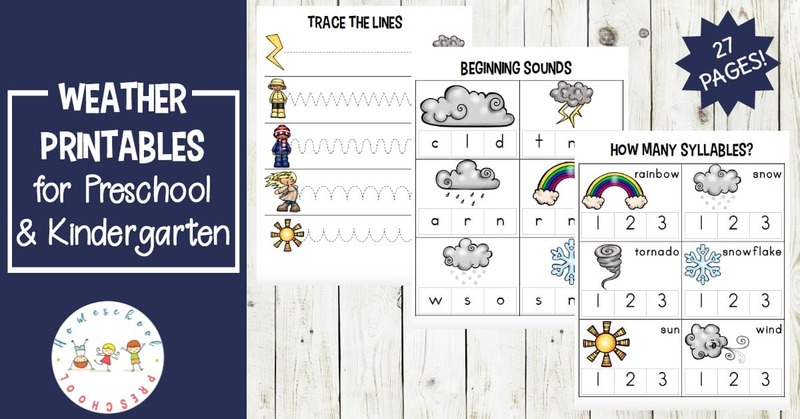 From sunshine to snowflakes and everything in between, these learning pages will help your little ones work on the alphabet, counting to 12, weather words, and more. • 3-Part Cards: Use the 3-part cards to identify different aspects of weather and the seasons. One set of cards has the image and name of each object. The second has a picture of the weather icon and a name strip. This set is designed to be cut into two pieces – the image and the name. Preschoolers can match the name to the image and then check their work with the full cards. 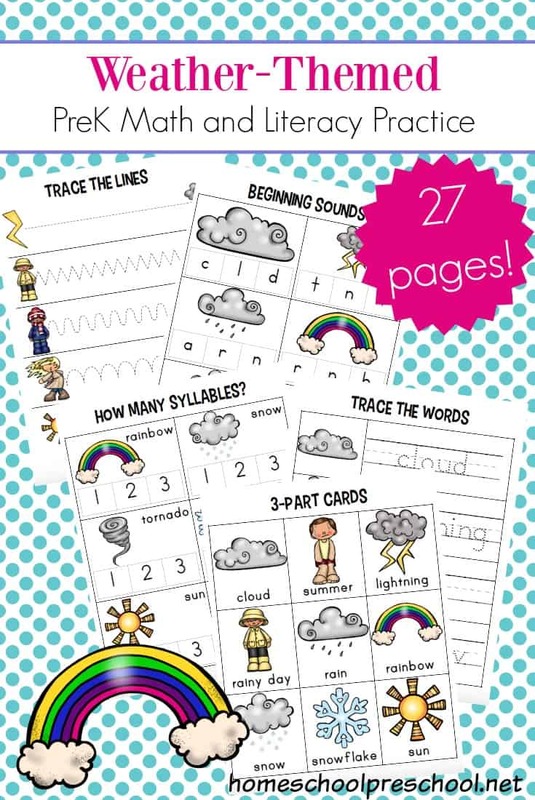 • Trace the Words: There are two pages of weather related words for preschoolers to trace. 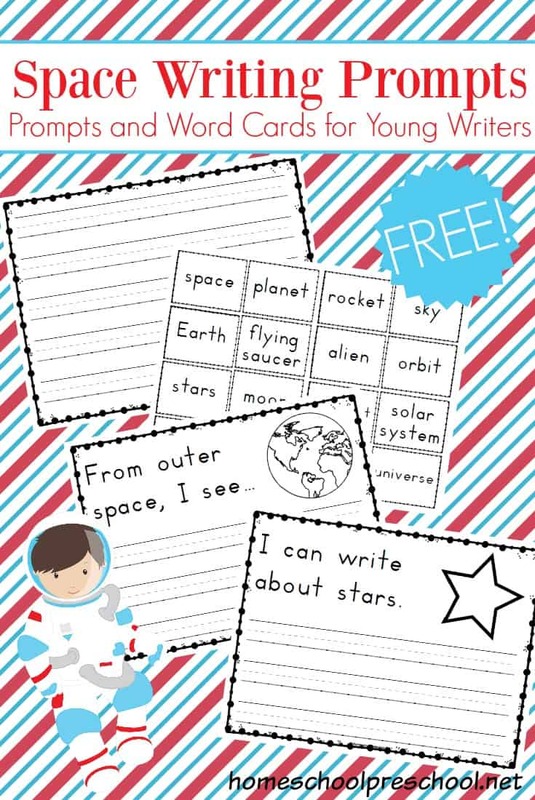 If you laminate them, kids can write with dry erase markers and use them over and over again. • How Many Syllables? Clip Cards: Cut apart the clip cards. There are six to a page. Have your preschoolers say the words allowed focusing on the number of syllables in each word. Use paper clips or clothespins to identify the correct answer. • Count and Clip Cards: Cut apart the clip cards. There are six to a page. Count the item(s) featured on each card. Use paper clips or clothespins to identify the correct answer. • Beginning Sounds Clip Cards: Cut apart the clip cards. There are six to a page. Have your preschoolers way the words allowed focusing on the sound they hear at the beginning of each word. Use paper clips or clothespins to identify the correct answer. • Which One is Different? : Have your preschoolers circle the image that is different in each row. • What Comes Next? : Cut out the images at the bottom of the page. Glue the correct one in the boxes to finish each pattern. • Color Me: Color the umbrellas according to the color word in each box. • Today’s Weather: Draw a picture of the weather and write a sentence about it. • What Should I Wear? : Draw a line from each weather icon to the child dressed for that weather. • Color and Write: Preschoolers can color the pictures on each page, and then practice writing the letters. 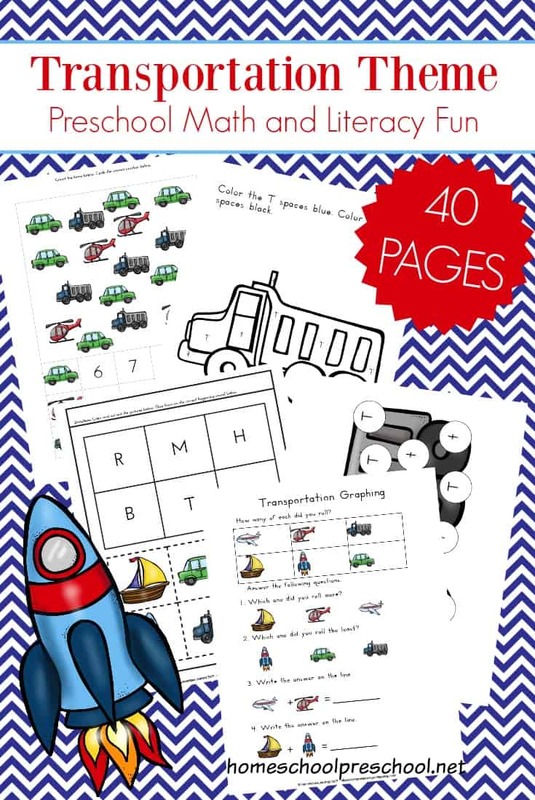 This set features pages for the letters Cc, Rr, Ss, and Ww. • Maze: Preschoolers will trace a path from the snowflake to the snowman. • Weather Sorting: Sort pictures according to whether they occur in cold or hot weather. • Trace the Lines: Trace the lines from left to write. If you laminate these pages, kids can use them again and again. • Weather Words Mini-Book: Cut the pages apart, staple them on the left-hand side, and let your child “read” the weather words to you. Fill your book basket with a great collection of preschool weather books. Most of these books can be found at your local library or used bookstore. If you have a hard time finding them, you can order them through my Amazon affiliate links by clicking the images below. 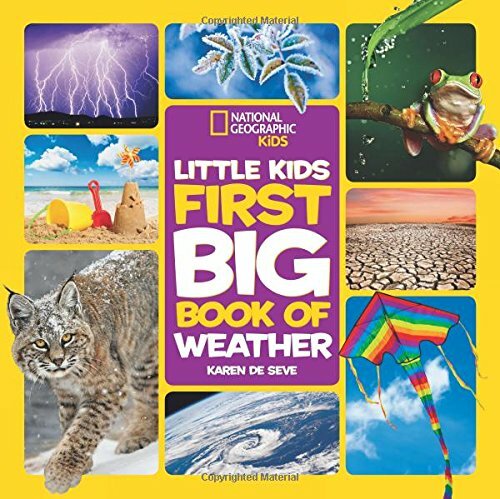 • National Geographic Little Kids First Big Book of Weather | How does a rainbow form? What causes it to snow? What makes the wind blow? This adorable reference book introduces young children to every aspect of weather and answers the questions curious kids want to know! 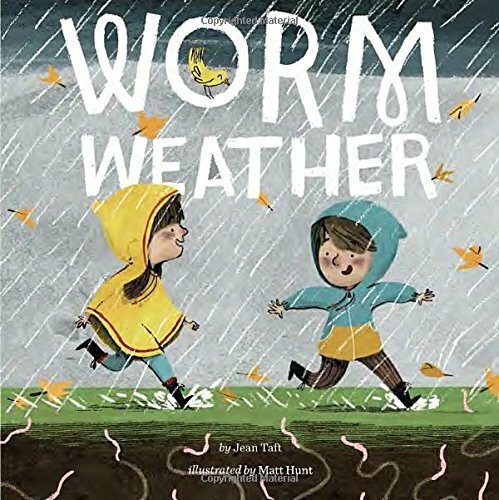 • Worm Weather | Join in the rainy-day fun, as kids splash through the puddles, affecting another weather enthusiast, a nearby worm. An imaginative and playful story, readers will love seeing the worm delight in the weather just as much as the kids. 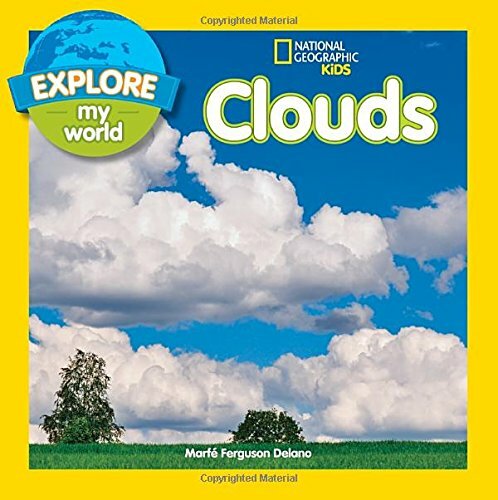 • Explore My World: Clouds | Curious kids ages 3 to 7 will be excited to learn about clouds—why they’re in the sky, different types, and fun activities that celebrate being outside. 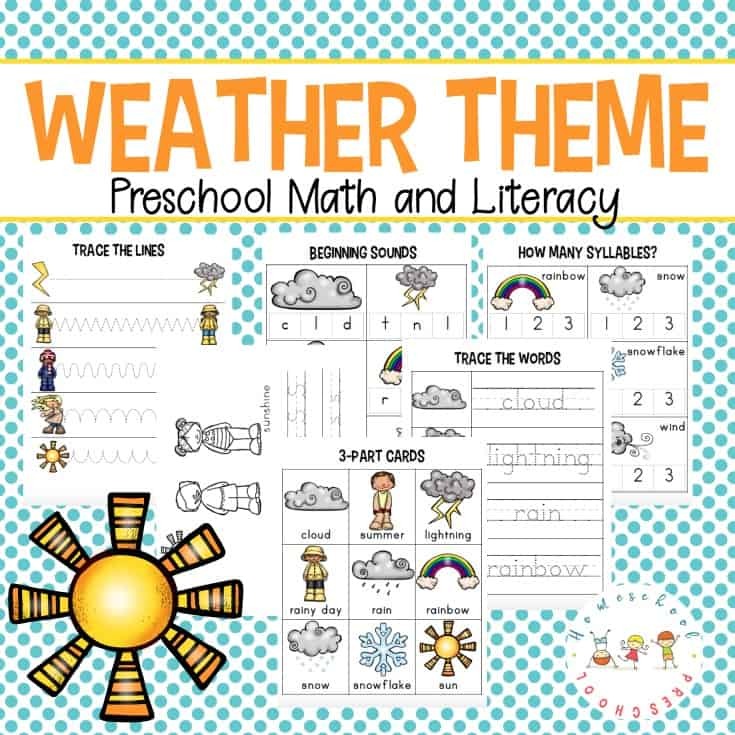 Download Your Weather Worksheets for Preschool. Sign up for my newsletter, and you’ll receive this freebie as a thank you! Enjoy! The worksheets were very child-friendly and a great resource to further my student’s Weather Unit study.